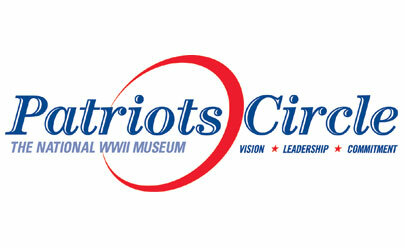 New Orleans attorney, David Oestreicher, has been named to the Patriots Circle at the National World War II Museum. The Patriots Circle represents a special group of Americans dedicated to preserving the artifacts and personal accounts that serve as examples of teamwork, courage, sacrifice and leadership exemplified by the men and women of the World War II generation. These attributes are ideals that the leadership at the National WWII Museum feels this country needs today. Throughout history, the word patriot has been reserved for those who demonstrate their commitment to home and country in word and deed. At The National WWII Museum, we honor Patriots every day. They are the men and women fought and sacrificed for the freedom we all enjoy today, and we’ve created a special circle of support in their honor — the Patriots Circle. The members of this exclusive circle are national ambassadors for the Museum and its mission of World War II preservation. In exchange, members enjoy VIP access to the Museum’s programs and leadership, as well as public recognition as key vanguards. Along with invitations to exclusive events, guest passes for friends and family and other special gifts, Patriots Circle members are listed on the Honor Roll of Charter Members, the annual donor wall in the Museum’s main Pavilion and inclusion in the Museum’s annual report as a key investor.